Looking to add an element of competition to your party or event? 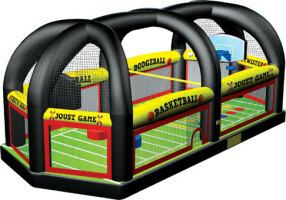 Our sports interactive inflatable allows you to play basketball, the joust game, twister, and more! Everyone will be a winner with these fun activities.